One of the most dramatic scenes so far from the second season of ABC’s New York Med had nothing to do with gunshot wounds or heart transplants. 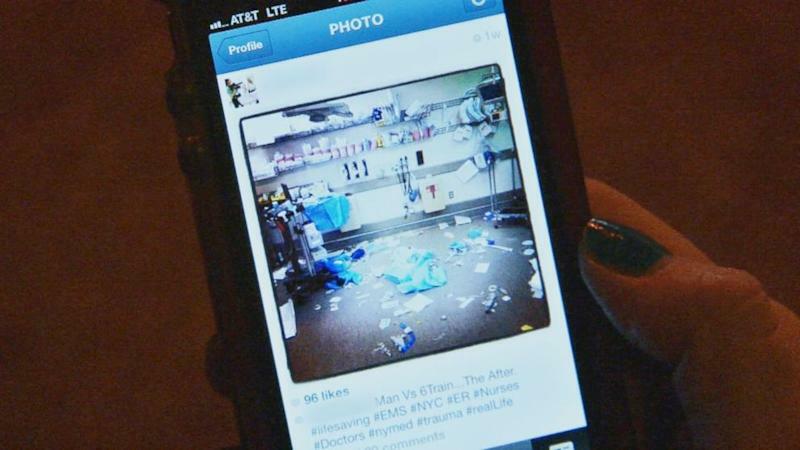 It came when emergency room nurse Katie Duke was fired for posting a photo to Instagram. Later that day, she was fired from her job at New York Presbyterian Hospital, she said. “I got a call at the end of my shift telling me I was being let go after seven years in the ER,” Duke told ABC News. New York Presbyterian declined to comment on Duke’s firing or anyone else’s involvement. Duke is certainly not the first medical professional to get herself into trouble on social media. Last year, a St. Louis doctor’s Facebook complaints about a chronically late patient drew hundreds of outraged comments from Internet posters. And a student who was admitted to an Illinois hospital for extreme intoxication claimed a doctor posted photos of her to various social media sites -- with commentary. Because nurses are often on the frontline of medical care, they need to be extra careful with what they post on social media, said Nancy Spector, director of regulatory innovations for the National Council of State Boards of Nursing. Duke maintains that she did nothing wrong by posting the picture. She was, she said, showing how life and death situations play out every day in the hospital. However, she concedes the posting might have upset someone not familiar with the morbid exchanges that can occur in the emergency room. Would you know how to handle a trip to the emergency room? Come chat about it with Dr. Richard Besser, ABC News’ chief health and medical correspondent as well as the stars and producers of New York Med. We’ll be joined by emergency medicine professionals from all over the country who will offer their ideas about how to handle yourself in a medical emergency. Learn how to join the chat here.